A few weeks ago I received the best delivery from Cut N’ Clean Greens! Chard and kale and greens galore! I knew I wanted to make something extra special after receiving a beautiful delivery like this. Sure you can throw it in smoothies or make pesto, which all sound good. But I wanted something with a little more abundance and spice and something I could have for the rest of the week. Kale latkes were on the maybe list but kale falafel is what won me over! 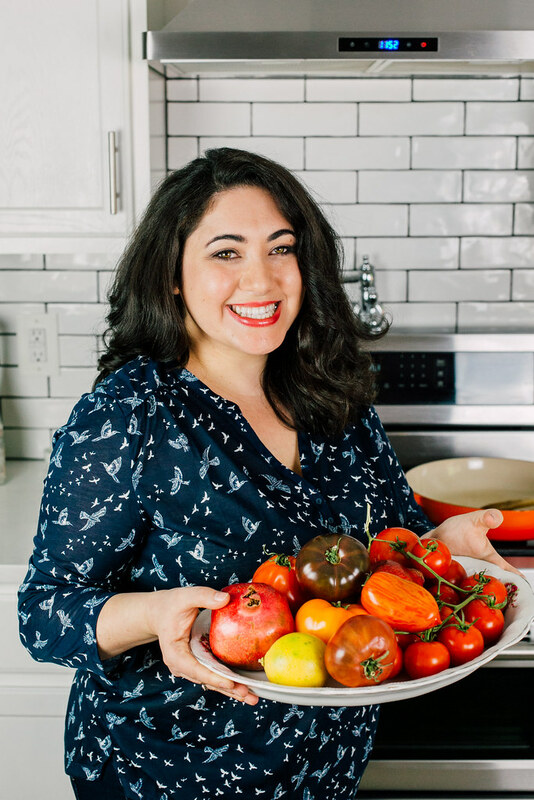 We all know how much I LOVE, LOVE falafel and am always trying to find different ways to express the humble dish. Usually there are bunches of fresh parsley and cilantro within the mixture, so instead I curved a bit and substituted fresh hearty kale. And I fell in love with the results. The fresh kale introduced a gorgeous green color and fried up nicely with the rest of the mixture. Of course I used dried beans, which should ALWAYS be the case when making homemade falafel. Really, please don’t comment asking if you can use canned beans. It just won’t work (Trust me, I’ve tried and it wasn’t pretty). 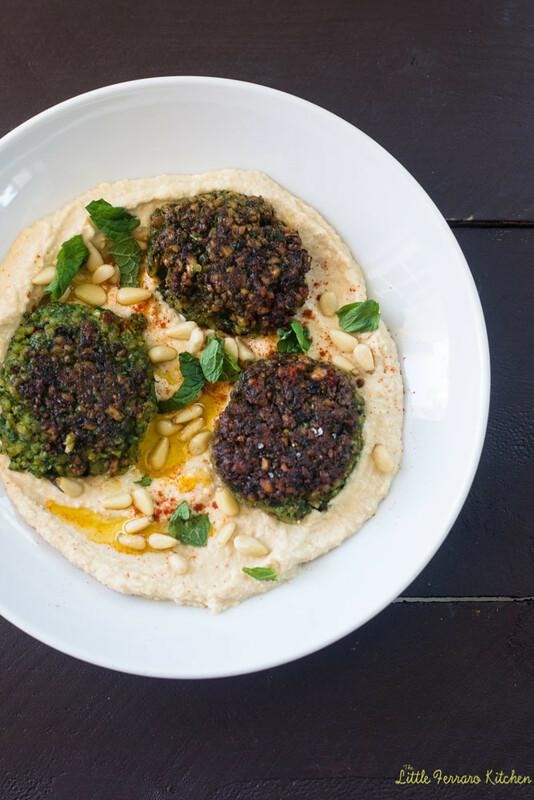 These delightful kale falafel are sitting on top of freshly made homemade hummus with quickly toasted pine nuts, fresh mint and a dash of spicy cayenne. The combination was out of this world with the warm crispy falafel and creamy hummus. Plus, I didn’t feel so bad that I fried kale! What would you make with all the Kale swag? And a HUGE thank you to Cut N’ Clean Greens for sending me over such a beautiful assortment of greens! In a large bowl, add the dried beans and cover with cool water. Allow beans to sit overnight in the water. If you're short on time, you can bring the beans to a boil for 2 minutes, turn off the heat ahdn allow the beans to sit in the warm water for an hour. When done, drain and rinse. Then in a food processor, pulse the beans until texture looks crumbly and there are no large pieces left. Transfer beans to a large bowl. In the same food processor, add the kale, mint, parsley, onion, garlic and spices. Pulse everything together until it looks almost looks like a paste. Add mixture to the beans. Use a large spatula to mix the beans and herbs together. Then add flour, baking powder and baking soda. Mix everything well. 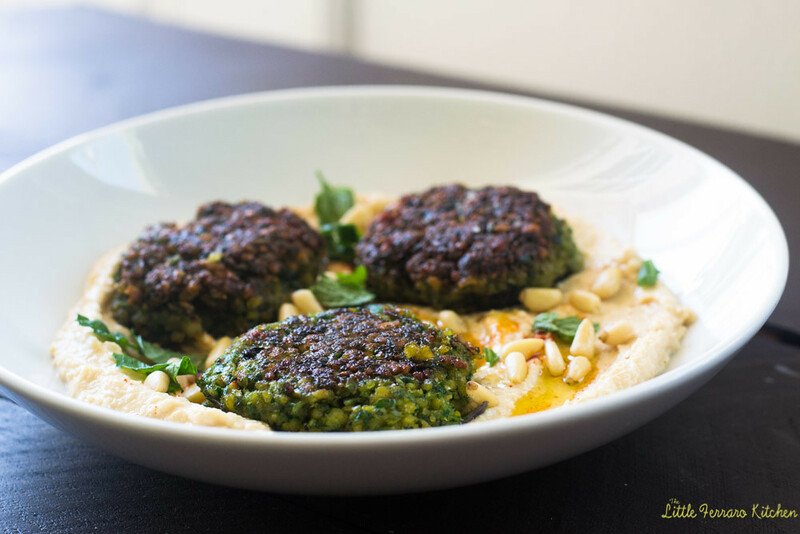 The falafel should be crisp on the outside and soft on the inside. Lay the falafel on a paper towel pine baking sheet and sprinkle with salt. 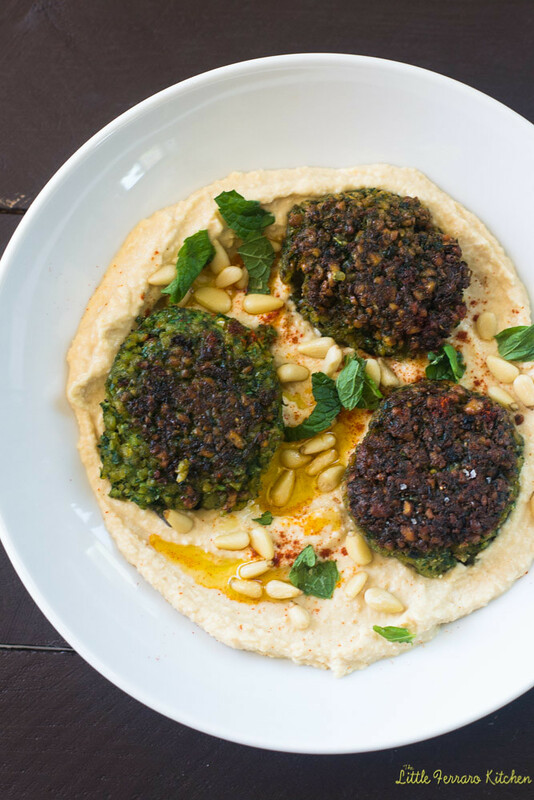 To serve, place falafel on top of hummus and sprinkle toasted pine nuts, a pinch of cayenne and drizzle of olive oil. Garnish with fresh mint leaves. 1 cup of dried beans yields about double or 2 cups of beans after soaking. Yum! These look absolutely delicious! Looks like a fantastic mail day :-). Oh my gosh Samantha! You have outdone yourself. What an inventive dish. Our utensils are poised and ready to dig in to this. Bet our ready-to-use kale made this dish faster than usual for you. We’re going to share on our social media and link here so everyone can see how you did this. Well done, chef Sam, well done! Thanks you so much for sending such an awesome package!! These look so good! Love the green color. I need to make some falafel stat! I love this. Must remember to try it out the next time I want falafel!